Pinterest is one of the best platforms to grow your website's traffic these days. Even after the algorithm change earlier this year, Pinterest remains my top referral source for driving traffic to my blog each month. In fact, over 90% of my monthly traffic comes directly from Pinterest. When I first started blogging, I spent way too much time worrying about SEO, ranking well in Google search results and figuring out long tail keywords. Once I realized this was a moot point for me, I chose to ignore every blog post and article that discussed how important these things were if I wanted my blog to do well. Instead, I started spending more time on Pinterest. Immediately, I started seeing results! My blog traffic continued to climb each month, all directly from Pinterest. From January to July, I was getting between 1,000 to 5,000 page views a month. Once I implemented Pinterest last summer, my traffic started increasing. After my first month of using Pinterest, I went from 5,000 to 40,000 page views in August! Since then, my traffic has continued to climb each month. Pinterest is a platform I feel extremely comfortable using. If you are not using Pinterest, you need to start immediately. Compared to Facebook, Pinterest has a much higher reach to your targeted audience. One of the biggest misconceptions with Pinterest is that you need to have a high following to do well. This is completely false. I am going to show you how I drive traffic to my blog each month from Pinterest with a low following. What if I told you it doesn't matter how many Pinterest followers you have? Sure, common sense says high following should convert into high traffic right? Well…not necessarily. As of writing this post, I'm hovering around 2,700 followers on Pinterest. Even though I have a small following compared to bigger bloggers, my audience reach is really high. Each month, my pins are seen by 600,000 to 800,000 viewers. A higher audience reach results in more traffic to my website. In the past month, I've had around 200,000 page views to my site, even with my small amount of Pinterest followers. This means my audience reach converts really well when it comes to click-thru rates to my blog. First, I don't pay for promoted pins (although I might in the future). All of my growth to my blog is organic and I can monitor what is working and not working via Pinterest Analytics. Second, I spend roughly $10 a month for Tailwind (I have an annual plan which saves me money), which is the program I use to schedule my pins. Third, I spend roughly an hour a week to plan my Pinterest schedule. I have no desire, nor the time, to try find a bunch of fellow pinners and hope they follow me back. Instead I can use my time wisely to pin my best content to my best boards. This means I can pin to the best boards – primarily group boards – as well as re-pin other great content from fellow bloggers. For four hours of my time and around $10 a month, that's a pretty good return of investment! Unless you have a great marketing plan to utilize Pinterest, it doesn't matter how many Pinterest followers you have. 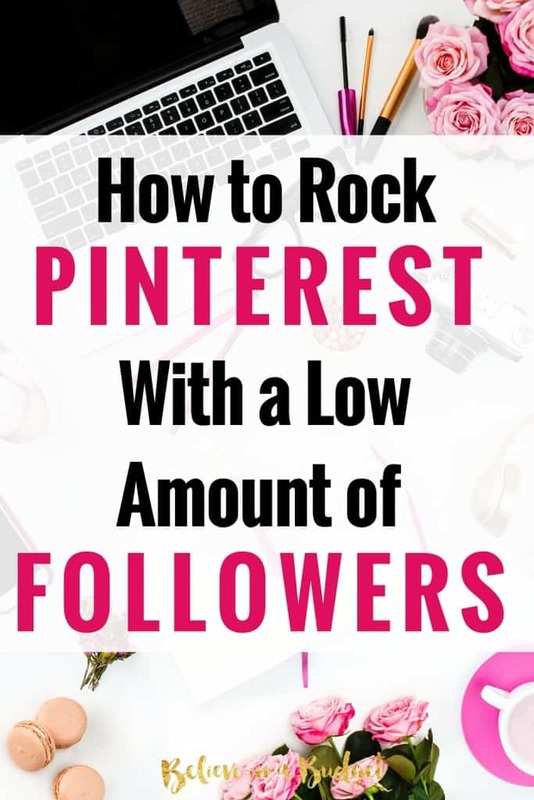 If you don't have a pinning plan, it doesn't matter if you have 100 followers or 1,000 Pinterest followers. Of course, if you have a high amount of followers and have a solid marketing plan, you will see the results and drive even more traffic to your blog. But if your initial goal is to increase your Pinterest followers for the sake of having a high following count, it's pointless. If you aren't pinning in front of the right audience, with the right pins and on a regular basis, your followers aren't going to see your pins. Instead, you should focus on finding your right audience. Using Pinterest Analytics, research who your audience is. You can learn what topics our viewers are researching – use this information to your advantage! Written a great profile as well as descriptions for all your boards? Organized your boards so a reader can navigate easily? No one has time to be on Pinterest all the time. Using a scheduler like Tailwind can do all the pinning for you. To a viewer, it looks like I am pinning all day long, seven days a week. Shh…I'll let you in on a secret. Aside from creating my schedule every Monday for an hour, I don't spend any extra time on Pinterest. Bottom line – you need to do a few different things if you want to succeed on Pinterest. Just because you create a beautiful pin doesn't mean someone is going to see it. And just because you schedule your pins each day, viewers aren't necessarily going to click on your pin if it doesn't meet the criteria of a perfect pin. If you are a new blogger or an experienced blogger that has yet to tap into Pinterest's resources and want to grow your traffic ASAP, make sure you check out my Pinterest Presence course. Do you use Pinterest? What's your best traffic source? I started this blog to write about my history with side hustling – long before side hustle was even a phrase people used. So it was easy for me to write on a topic that was/is part of my real life. As my blog gained traction, readers would ask me to write about different things. Pinterest Analytics is specifically for Pinterest business accounts (it’s free!) and provides data, like if your viewers are male/female, age brackets, what they are interested in, etc. 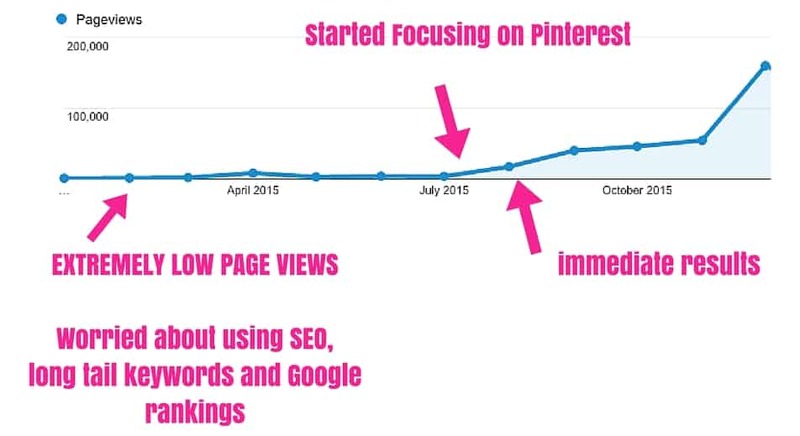 So really, you need to blog first and then can review your Pinterest Analytics, then adjust/pivot if you want to!